How to solve the thermal problem of CSP package? CSP (chip scale package) is a kind of package technology (the next generation technology is the substrate level package, the package size is the same as the chip size) encapsulating 20% ​​of the size of the chip itself. 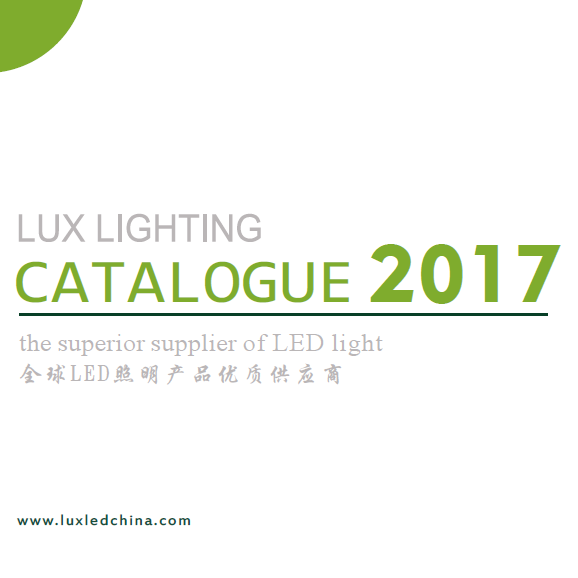 To achieve this goal, LED manufacturers to minimize the unnecessary structure, such as the use of standard high-power LED, remove the ceramic heatsink and connecting lines, metal P and N pole and directly above the LED cover the phosphor layer. According to Yole Développement, the CSP package will account for 34% of the high power LED market by 2020. 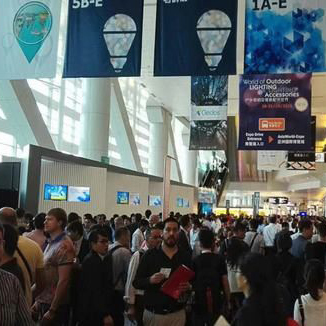 Why CSP package thermal challenges facing? The CSP package is designed to be soldered directly onto a Printed Circuit Board (PCB) through metallized P and N poles. In a certain way it is indeed a good thing that this design reduces the thermal resistance between the LED substrate and the PCB. 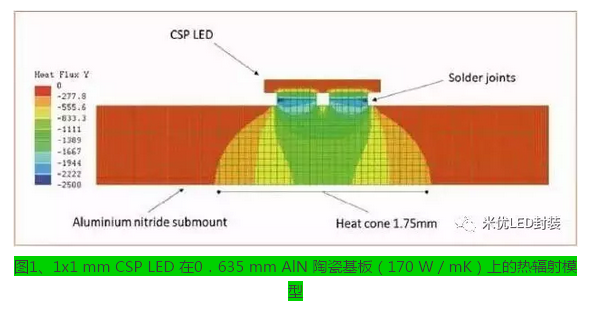 However, since the CSP package removes the ceramic substrate as a heatsink, this transfers heat directly from the LED substrate to the PCB and becomes a strong point heat source. At this point, the cooling challenge for CSPs changed from "level one (LED floor level)" to "level two (the entire module level)." In response to this situation, the module designers began to use metal-clad printed circuit board (MCPCB) to deal with CSP package. As can be seen from Figures 1 and 2, the researchers conducted a series of thermal radiation simulations of MCPCB and AlN ceramics. Due to the structure of the CSP package, the heat flux was transferred only through solder joints of small area , Most of the heat are concentrated in the center, which will lead to reduced service life, reduced light quality, and even LED failure. Most MCPCBs are usually constructed with a surface coating of approximately 30 microns on a metal surface. At the same time, the metal surface is covered with a layer of resin dielectric containing thermally conductive ceramic particles. However, excessive thermal conductive ceramic particles can affect the performance and reliability of the entire MCPCB. At the same time, there is always a trade-off between performance and reliability for the thermal media layer. According to researchers, in order to better heat dissipation, MCPCB need to reduce the thickness of the dielectric layer. Thickness is the only variable because the thermal resistance (R) is equal to the thickness (L) divided by the thermal conductivity (k) (R = L / (kA)) and the thermal conductivity is only determined by the medium's own properties. However, because of the inability of the dielectric layer to reduce its thickness indefinitely because of manufacturing process limitations and service life considerations, researchers needed a new material to address this issue. How to turn the nano-ceramic MCPCB best solution? The researchers found that an electrochemical oxidation process (ECO) can generate a few tens of microns of alumina ceramic (Al2O3) on an aluminum surface while the alumina ceramic has good strength and relatively low thermal conductivity 7.3 W / mK). However, since the oxide film automatically bonds with aluminum atoms during the electrochemical oxidation, the thermal resistance between the two materials is reduced, and a certain structural strength is also achieved. At the same time, the researchers combined nano-ceramic with copper-clad, giving the overall thickness of the composite structure a high total thermal conductivity (about 115 W / mK) at very low temperatures. Therefore, this material is very suitable for CSP package needs. As designers continue to explore the search for the right CSP package materials, they often find that their needs have outpaced the state of the art. Thermal issues have led to the birth of nano-ceramic technology, which can fill the gaps between traditional MCPCB and AlN ceramics. 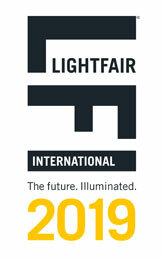 So as to promote designers to introduce more compact, clean and efficient light source.